ww2dbaseUSS Wisconsin was the third of United States Navy's Iowa-class battleships. With Captain Earl E. Stone in command, she held her trials in the Chesapeake Bay in Maryland, United States. On 7 Jul 1944, she departed Norfolk, Virginia, United States for Trinidad in the British West Indies for her shakedown cruise. After a brief post-shakedown repair period, she departed from Philadelphia Navy Yard in Pennsylvania, United States for the Pacific Fleet on 24 Sep 1944, traveling through the Panama Canal; she joined the Pacific Fleet on 2 Oct and the US Navy Third Fleet on 9 Dec. She escorted the carriers of Task Force 38 as the carriers' aircraft struck Manila in Luzon, Philippine Islands in preparation for the landings on the island of Mindoro. On 18 Dec, Task Force 38 sailed through Typhoon Cobra and incurred heavy losses, although Wisconsin survived with only two injuries. Between 3 and 22 Jan 1945, she escorted the carriers as the aircraft struck Luzon, Taiwan, Hong Kong, Canton in China, Hainan Island in China, Saigon in French Indochina, Camranh Bay off French Indochina, and Okinawa in Japan. On 16 Feb 1945, now as a part of Task Force 58 of the Fifth Fleet, she escorted carriers as the carrier planes raided the Japanese home islands. On 17 Feb, she arrived off Iwo Jima, Japan and bombarded the island ahead of the 19 Feb invasion. On 25 Feb, she escorted carriers during a raid on the island of Hachino off the coast of Honshu, Japan. In mid-Mar, she operated off Okinawa, Japan, acting as anti-aircraft platform when the task force was struck by a series of Japanese aerial attacks. On 24 Mar, she bombarded Okinawa along with other battleships of the task force. On 8 Jun, Task Force 58 attacked Kyushu, Japan, and Wisconsin again operated in the screen; on that day, one of her floatplanes rescued a downed pilot from the carrier USS Shangri-La. Between 13 Jun and 1 Jul, she was anchored at Leyte Gulf in the Philippine Islands for repairs. On 10 Jul, she escorted the task force during a raid against the Tokyo, Japan area. On 16 Jul, she fired her guns at the steel mills and oil refineries at Muroran, Hokkaido, Japan. On 18 Jul, she bombarded industrial facilities in the Hitachi Miro area on the northeastern shore of Honshu. After the Japanese surrender, she arrived in Tokyo Bay on 5 Sep 1945.
ww2dbaseOn 23 Sep 1945, Wisconsin participated in Operation Magic Carpet and departed from Okinawa with American servicemen, arriving at San Francisco, California, United States on 15 Oct. On 18 Jan 1946, she arrived at Hampton Roads, Virginia. In 1946, she visited Cuba, Chile, Peru, Panama Canal Zone, and Venezuela, returning to Norfolk, Virginia on 2 Dec 1946. In 1947, she largely operated as a training ship. She was decommissioned on 1 Jul 1948 and placed into the Atlantic Reserve Fleet. ww2dbaseOn 3 Mar 1951, Wisconsin was recommissioned due to the Korean War, with Captain Thomas Burrowes in command. After shakedown cruise and a training cruise to Europe and the Caribbean Sea, she arrived at Yokosuka, Japan on 21 Nov 1951, relieving sister ship USS New Jersey as the flagship of Vice Admiral H. M. Martin of the Seventh Fleet. Off Korea, she provided naval gunfire support for the US 1st Marine Division, Republic of Korea 1st Corps, and other friendly units in the Kasong-Kosong, Kojo, Wonson, and other areas of conflict through 1 Apr when she returned to the United States. Between 9 and 10 Jan 1952, off Pusan, Korea, she hosted Korean President Syngman Rhee and his wife; Rhee awarded Martin the Republic of Korea Order of the Military Merit during his visit. On 26 Feb, again off Pusan, she was visited by the ROK Chief of Naval Operations Vice Admiral Shon, US Ambassador J. J. Muccio, and British Royal Navy Rear Admiral Scott-Montcrief. On 15 Mar 1952, she received her first direct hit when a 155-mm coastal artillery shell struck her on the starboard, wounding three men. She returned to Long Beach, California, United States on 19 Apr. ww2dbaseOn 9 Jun 1952, Wisconsin served one tour of duty as a training ship, taking midshipmen to Scotland in the United Kingdom, France, and Cuba; she remained a training ship through Sep 1953. On 25 Aug, she participated in the NATO exercise Operation Mainbrace off Scotland. On 12 Oct, she returned to Japan and became the flagship of the Seventh Fleet, remaining in that role until 1 Apr 1954. Between 11 Jun and 12 Jul, she underwent an overhaul at Norfolk Naval Shipyard in Virginia. Between Jul 1954 and 1956, she once again served as a training ship. On 6 May 1956, she collided with destroyer USS Eaton, causing extensive bow damage that put her in the dry dock at Norfolk, where she was fitted with the bow made for the hull of uncompleted battleship Kentucky. She visited Gibraltar, Turkey, Italy, Britain, and other locations before being decommissioned on 8 Mar 1958 at Bayonne, New Jersey, United States, marking an era in the US Navy where no battleship was in active service. ww2dbaseOn 22 Oct 1988, after undergoing modernization for the previous two years, Wisconsin was recommissioned under the command of Captain Jerry M. Blesch. Between 1989 and 1990, she conducted cruises and training exercises. On 23 Aug 1990, she arrived at the Persian Gulf, with other warships, during Operation Desert Shield. On 15 Jan 1991, as Operation Desert Storm commenced, she launched Tomahawk cruise missiles against Iraqi targets as the Tomahawk Land Attack Missile strike commander vessel. On 6 Feb, joined by sister ship Missouri, she bombarded Iraqi targets in southern Kuwait, using an Unmanned Aerial Vehicle (UAV) as a spotter in combat for the first time; she was engaged in similar bombardment missions on several occasions in Feb, shelling Iraqi ships, troop positions, and military installations. After the conflict was over on 28 Feb, she returned to the United States on 28 Mar 1991, marking the last time that an US battleship actively participated in a war. ww2dbaseOn 30 Sep 1991, Wisconsin was decommissioned. She was moved to Norfolk on 15 Oct 1996, and then towed to Portsmouth, Virginia on 7 Dec 2000. On 16 Apr 2001, she boarded tourists for the first time in her new role as a museum ship at Hampton Roads Naval Museum, Virginia while still officially on the roster of US Navy's reserve fleet. On 17 Mar 2006, she was removed from the reserve fleet roster due to the potentially high cost to modernize and reactivate the battleship for service again, although she was maintained in a way so that she could be activated for combat, as dictated by the US Congress. 16 Apr 1944 Wisconsin was commissioned into service. 7 Jul 1944 USS Wisconsin departed Norfolk, Virginia, United States for Trinidad in the British West Indies. 2 Oct 1944 USS Wisconsin was attached to the US Navy Pacific Fleet. 9 Dec 1944 USS Wisconsin was attached to the US Navy Third Fleet. 17 Feb 1945 USS Wisconsin arrived off Iwo Jima, Japan and bombarded Japanese positions on the island. 25 Feb 1945 USS Wisconsin escorted carriers as the carrier aircraft attacked Hachino, Japan. 24 Mar 1945 USS Wisconsin bombarded Okinawa, Japan. 9 Jun 1945 USS Wisconsin was designated a training ship for a cruise to Britain, France, and Cuba. 13 Jun 1945 USS Wisconsin arrived at Leyte Gulf, Philippine Islands for repairs. 1 Jul 1945 USS Wisconsin completed her repairs at Leyte Gulf, Philippine Islands. 5 Sep 1945 USS Wisconsin arrived in Tokyo Bay, Japan. 15 Oct 1945 USS Wisconsin arrived at San Francisco, California, United States. 18 Jan 1946 USS Wisconsin arrived at Hampton Roads, Virginia, United States. 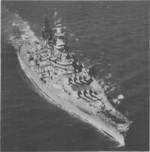 2 Dec 1946 USS Wisconsin arrived at Hampton Roads, Virginia, United States. 1 Jul 1948 Wisconsin was decommissioned from service. 3 Mar 1951 USS Wisconsin was recommissioned into service. 9 Jan 1952 Korean President Syngman Rhee and his wife embarked USS Wisconsin off Busan, Korea. 10 Jan 1952 Korean President Syngman Rhee and his wife disembarked USS Wisconsin off Busan, Korea. 26 Feb 1952 USS Wisconsin hosted Korean Chief of Naval Operations Vice Admiral Shon, US Ambassador J. J. Muccio, and British Royal Navy Rear Admiral Scott-Montcrief off Busan, Korea. 15 Mar 1952 USS Wisconsin was hit by enemy fire off Korea, wounding three men. 19 Apr 1952 USS Wisconsin arrived at Long Beach, California, United States. 25 Aug 1953 USS Wisconsin participated in the NATO exercise Operation Mainbrace off Scotland, United Kingdom. 12 Oct 1953 USS Wisconsin was named the flagship of the Seventh Fleet based in Japan. 1 Apr 1954 USS Wisconsin was relieved as the flagship of the Seventh Fleet based in Japan. 11 Jun 1954 USS Wisconsin began a scheduled overhaul at Norfolk Navy Yard, Virginia, United States. 12 Jul 1954 USS Wisconsin completed her scheduled overhaul at Norfolk Navy Yard, Virginia, United States. 6 May 1956 USS Wisconsin collided with destroyer USS Eaton, causing extensive damage to her bow. 8 Mar 1958 USS Wisconsin was decommissioned from service at Bayonne, New Jersey, United States. 22 Oct 1988 USS Wisconsin was recommissioned into service with Captain Jerry M. Blesch in command. 23 Aug 1990 USS Wisconsin arrived at Persian Gulf in the Middle East. 15 Jan 1991 USS Wisconsin launched Tomahawk cruise missiles at Iraqi positions. 6 Feb 1991 USS Wisconsin bombarded Iraqi positions in southern Kuwait, using an Unmanned Aerial Vehicle as a spotter for combat for the first time. 28 Mar 1991 USS Wisconsin returned to the United States. 30 Sep 1991 USS Wisconsin was decommissioned from service. 15 Oct 1996 Battleship Wisconsin arrived at Norfolk, Virginia, United States. 7 Dec 2000 Battleship Wisconsin arrived at Portsmouth, Virginia, United States under tow. 16 Apr 2001 Battleship Wisconsin hosted tourists for the first time at Hampton Roads Naval Museum in Norfolk, Virginia, United States. 17 Mar 2006 Already a museum ship at Norfolk, Virginia, United States, battleship Wisconsin was removed from the US Navy reserve fleet roster. This is longest battleship ever made. My great-grandfather was on this ship in the early 1940's. He doesn't ever talk about it, but he is proud of it. When I did a project on it in high schoo, he was so thrilled. This ship gave him some of the best memories of hi life.It means a lot to his whole family. The first "recommission" date was 3 Mar 1951, not the later 1988 recommission date that was accidently inserted in this spot as well as in the later spot. Thanks Edward, the first recommission date has been corrected. My father Robert Geddings Joyner was a plank owner on the USS Wisconsin. He was a gunner on the third turret. Like many others who served on this great ship, he didn't talk too much about his experience except his dislike for the typhoons. My dad was also a plank owner, he passed in 2010, but he loved that ship. He was a radio operator. He always told stories of a typhoon that dipped him in the ocean from three decks up. I miss those stories. My grandfather was a gunner's mate on one of the main 16inch turrets and looking for more information on his service. William Collins passed in March of 2008 and he never talked much about his service. He also was on a tanker ship that was torpedoed in the Caribbean by a u-boat. Only survived due to napping on the deck. Dont know the tanker name. Any information would help.